Fuel management is a multi-level technology designed to make the usage of fuel in various transport related industries more efficient. The major aim of fuel management is to cut down the expenses of fuel consumption and increase the efficiency of utilization of fuel in various industries. The importance of a proper fuel management system is further enhanced by the world pressure on industries to cut down the usage of fuel foe environmental concerns. 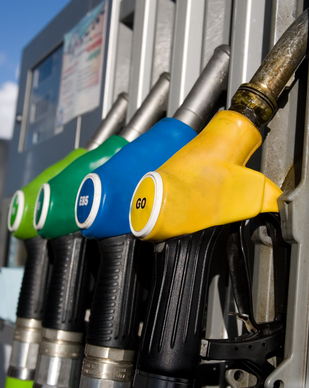 How Does the System of Fuel Management Work? The latest trend is to bring in the RFID technology that is helpful in identification of equipment and automated fuel management resources to efficiently append the details involved with each fuel transaction. The fuel management system is specifically designed to make a detailed account of the various expenses related to fuel and take the necessary measures to increase the efficiency percentage. Various technologies are used to monitor and keep track of the fuel expenses, usage and inventories. A detailed description of this entire fuel related transactions are then stored in some centralized computer software and analyzed accordingly. Necessary plan of actions are proposed based on the accumulated data so as to improve on the current position. Card fuel management system and onsite fuel management system are the two major kinds of systems employed to monitor the fuel consumption. While the former deals with data transmission with the help of credit cards, the latter employs massive refueling tanks at the site for consumption of fuel. Most of the industries believe in operating through card-based system along with on-site refueling tasks for better results. Another new introduction to this field is that of the mobile fuel management which comprises of a battery of trucks providing fuel supply to large fleets of construction equipments. The latest trend is to bring in the RFID technology that is helpful in identification of equipment and automated fuel management resources to efficiently append the details involved with each fuel transaction. Some of the fuel management systems even provide an in-depth analysis of the mileage, engine idling time, hours of operation and other technical features of the vehicle. Fuel management systems have been efficient in ascertaining the budget and profit margin of fuel related transactions. An efficient fuel management procedure can help stabilize cash flow and supply chin prices. It even gives the company an advantage of marketing price changes around the industry. It also helps in estimating fuel costs and risks identification and taking necessary steps to reduce the same. An efficient fuel management system also contributes to the energy conservation procedure in the long chain.